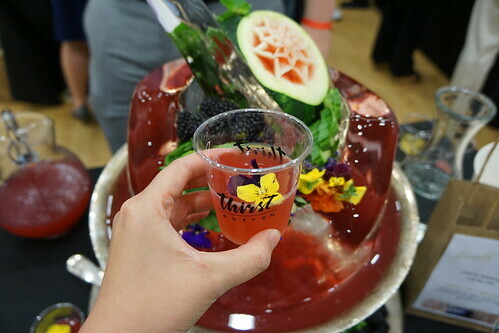 Thirst Boston is Boston's cocktail festival. The afternoons are filled with various workshops meant for bartender and cocktail enthusiasts. They cover molecular mixology approaches, ice carving techniques, as well as tasting seminars about cognac and other spirits. There are also seminar on woman in cocktail history and a hands-on make-your-own gin workshop that I wrote about here. Now, why should you care about Thirst Boston? If you're not a big enough enthusiast to attend the seminars and workshops, there are still other Thirst events that will interest you! Namely, their fun cocktail-filled evening events. One is Blender Bender, which this year will take place on Sunday, April 29 at Whiskey Saigon. 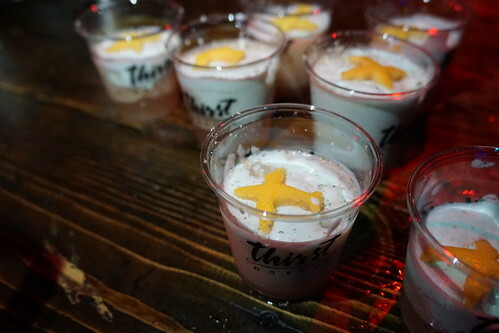 The event is pits teams of local bartenders in a blended drink competition. 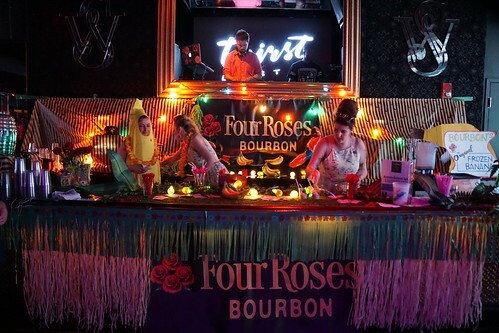 There's always a theme to this event and the bartenders are known to go all out in costumes and garnishes! It's a big dance party with great blended drinks all night. Last year's theme was the Gender Bender Blender Bender, and this year will be a Mad Max theme.